Someone recently asked me, "Manny, what is one of the most important lessons you have ever learned?" I had to think long and hard about that one because I have learned so many invaluable lessons in my life, that, together, make me who I am. Isolating just one lesson would feel shallow and dishonest. Because of that, I figured I would take a step back, and try to see if there is one organizing principle I could use that allows me to reduce all my most powerful lessons into one, usable, truth. Your emotional state is based upon your beliefs, the cognitive content in your cabeza ("brain" in Spanish). Therefore, if you want to change the quality of your life, you must first change your beliefs. More specifically, I believe you must change your beliefs about yourself, which are also referred to as "self-image," "identity" or "construals about the self." Why is your self-image so important? Because you can never behave for long in ways that are incompatible with your beliefs about yourself. Don't get me wrong. Sure, you can "fake it till you make it" for a while, and accomplish some things. I’ve definitely done that. 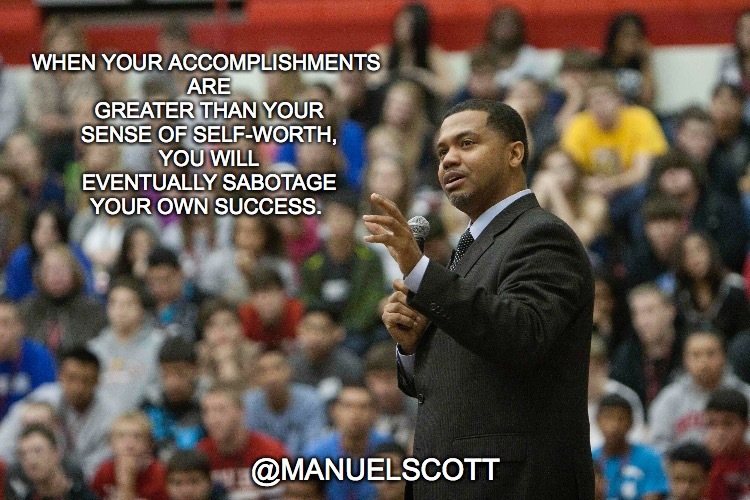 However, when your accomplishments are greater than your sense of self-worth, you will eventually sabotage your own success. You can look in the mirror and speak all the words of affirmation to yourself that you want (something I've tried, actually), but those affirmations themselves are superficial and ineffective if they are NOT rooted in, and flowing from, a healthy self-image. That’s one of the most important lessons I have ever learned. What do you think? Does that make sense to you? Does it help to clarify some things, about yourself or someone else? How so?